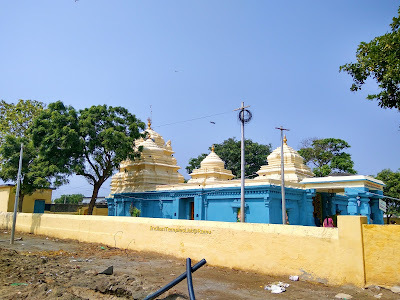 Hamsaladeevi Sri Venugopala Swamy Temple is an ancient temple dedicated to Lord Krishna in Hamsaladeevi village, Koduru Mandal on the banks of Krishna River. Sri Venu Gopala Swami temple at Hamsala Deevi is one among the 180 sacred Vishnu Temples in India. 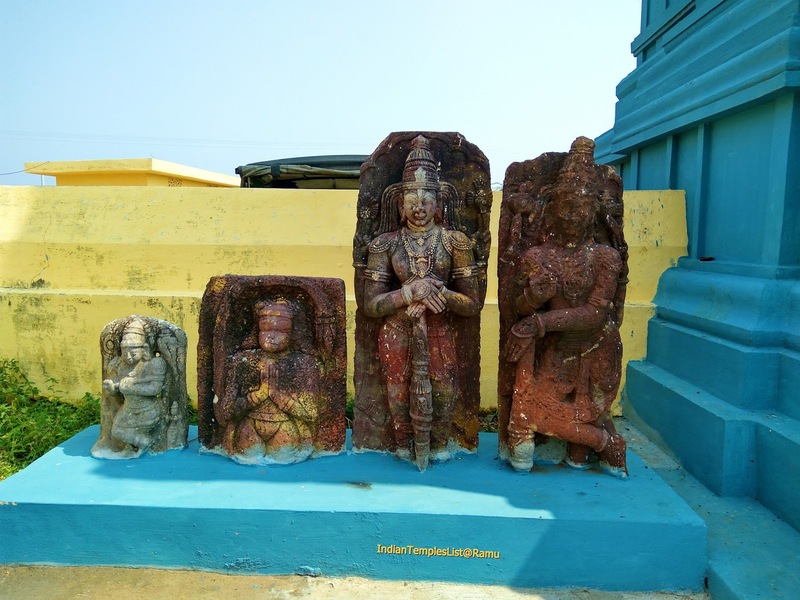 Lord Venugopala Swamy is seen with his consorts Rukmini and Satyabhama in this ancient temple. 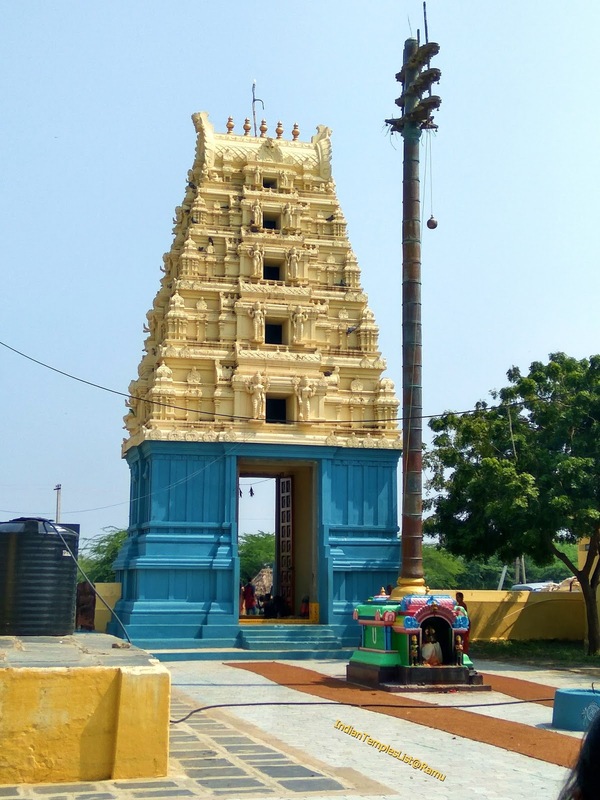 The temple is just 0.7 km away from Hamsaladeevi village in Diviseema Krishna District of Andhra Pradesh. Hamsaladeevi is also called as "Swan Island". The temple is located on a sacred place where one branch of Krishna River merge into Bay of Bengal. Tourists come to Hamsaladeevi from different places to see the beauty of "Sagara Sangamam" and take the blessing of Lord Venugopala Swamy. Local language spoken at Hansaladeevi is Telugu. Krishna River branches out as Pulleru at Puligadda and travel for around 20 km and empties into the sea at Hamsaladeevi-Palakayatippa. The river near Hamsaladeevi is very deep and wide. Those planning to visit this ancient temple at Hamsaladeevi can also include the nearby Mopidevi Temple in their travel list. Both, these temples can be covered in a single day. Hamsala Deevi Venugopala Swamy Temple has a great ancient history dating back to Pallavas and Chalukyas dynasty. There are many ancient stories associated with Hamsaladeevi. According to some ancient tale, Hamsaladeevi Sri Venugopala Swamy Temple was built in a single day by Devatas (Gods and Goddesses). According to an ancient story, Two Gandharvas made fun of a sage who was in black colour. Angered sage cursed them to become as crows. After Gandharvas beg for a solution, Sage asked them to take a holy dip at a place where Krishna Rivers merges into the sea. As recommended by the sage, both Gandharvas took a holy dip and got their actual form as Hamsa (Swan). From then onwards, the place got its name as Hamsaladeevi. The sacred Krishna River flows into the Bay of Bengal at Palakayi Tippa, which is just 5 km away from Hamsaladeevi village. All vehicles can directly go to the seashore from Venugopala Swamy Temple where beach road ends at 3 km. For seeing the actual confluence point you need to travel another 2 km further along the shoreline. Better to avoid reaching the confluence point during high tide and evening periods. Cement pillars are erected at the confluence point to indicate safe areas. A building is erected there and if you climb it you can get the bird's-eye view of the Krishna River dumping water and soil (color slightly different) into the sea. What to See at Hamsala Deevi? Hamsaladeevi beach area along the coast of Andhra Pradesh is one of the most sought after destination for tourists. This place is a paradise for winged species such as seagulls that attract many bird lovers throughout the year. The black-headed seagull is a noisy species, which is usually seen in small groups and nests in colonies. The Hamsaladeevi beach continues to be a must visit place for those who turn up to the famous temple of Subrahmanyeswara in Mopidevi, which is just 15 km from the beach. When to visit Hamsaladeevi Temple? Local people celebrate "Magha Poornima" with great fervor at this temple in the month of February. Annadanam (free food service) is offered to all devotees who visit this place during this period. 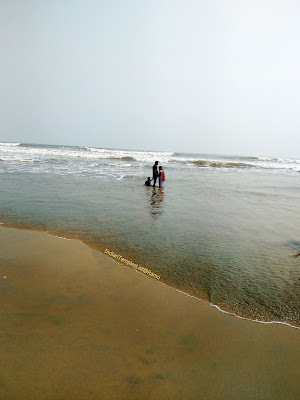 Many people visit this temple during Karthika Masam period and take a holy bath in the sea. How to reach Hamsaladeevi Temple? Machilipatnam and Avanigadda are the nearby big towns having road connectivity to Hamsaladeevi. Visitors can reach Avanigadda from Vijayawada (66 km) and from there they can easily reach Hamsaladeevi. Local vehicles can directly take you to the beach from the temple. Share autos are available from Avanigadda to Hamsaladeevi. There are no nearby railway stations in Hamsala Deevi. Visitors can get down at either Machilipatnam railway station/MTM (33 km) or Guntur Junction railway station/GNT (96 km). From there one can easily reach Hamsaladeevi by road. The nearest airport to reach Hamsaladeevi is Vijayawada Airport at Gannavaram. From there, one can hire a local taxi or come by Government run APSRTC buses to reach nearby towns. Visitors can get decent accommodation facilities at Vijayawada or Guntur cities. Moderate accommodation facility is available at Mopidevi, Avanigadda and Machilipatnam. Apart from small eateries, no food facility is available at Hamsaladeevi. 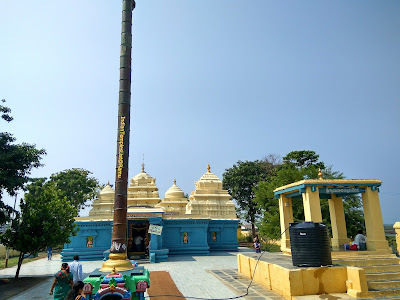 Please share your experiences and thoughts on Hamsaladeevi Venugopala Swamy temple in the comments section. Share this information with your friends and let them know about this beautiful place.